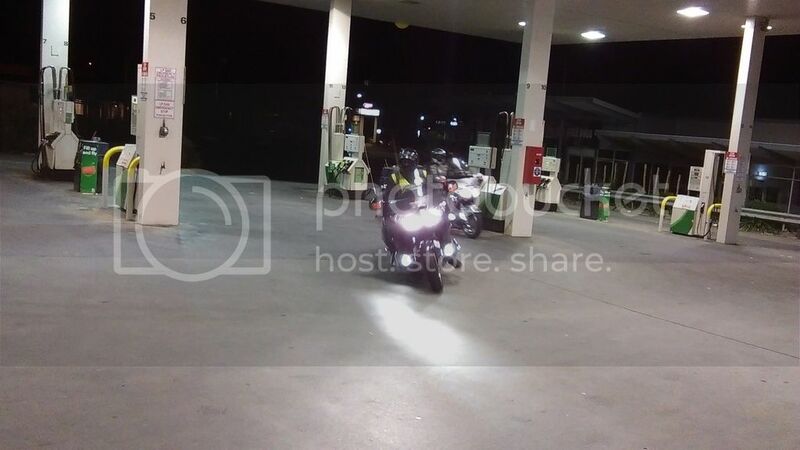 Thread starter Lynne "the Pillion"
Here is the link to the ride that Wingman (Des) & Freddo are attempting at the moment .... Ride around the BIG Paddock having to utilise highway 1. Now the secrect is out of what the boys are up to, here are some pics from the start. 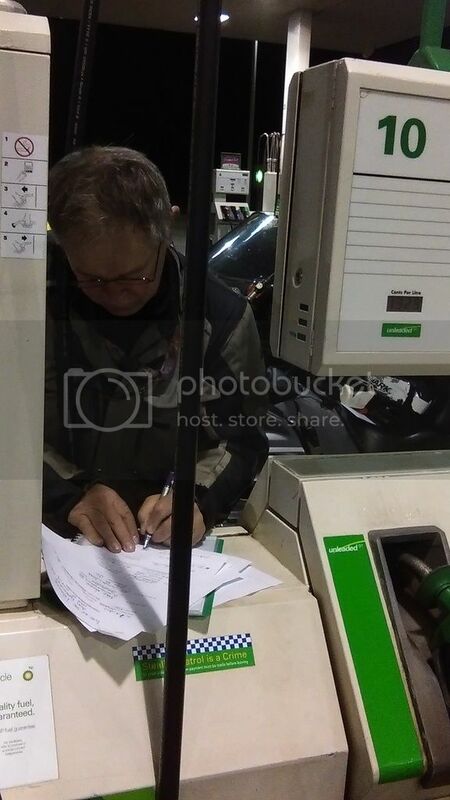 Funnily enough we, as well as Philmor happened to meet these guys on Tuesday 4th April at our local BP servo in Berwick, Melbourne. 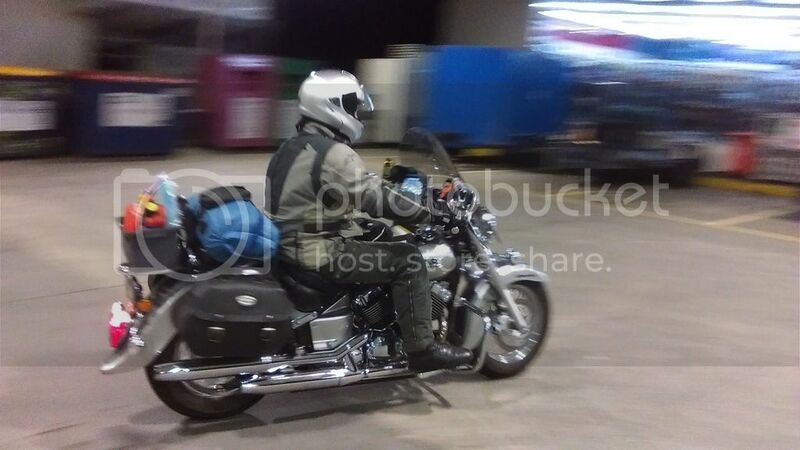 This is speedy Phil on his loan bike, giving it a shakedown before the muster! Ok now have we got everything? 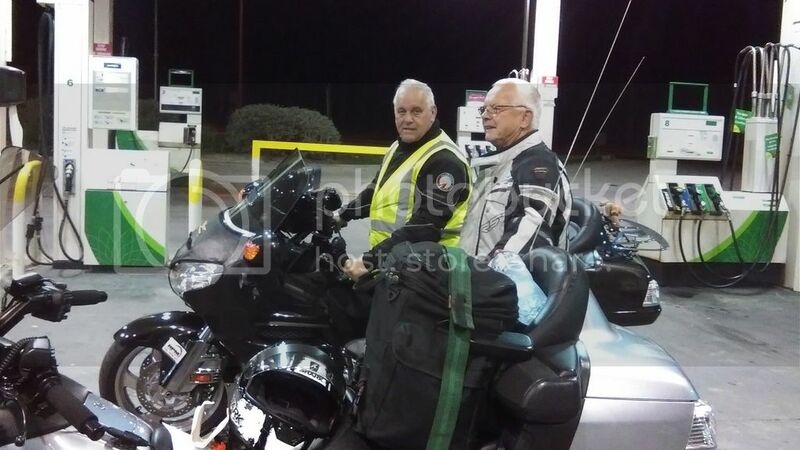 DAY 1 - The boys rode through to Ceduna SA that night. 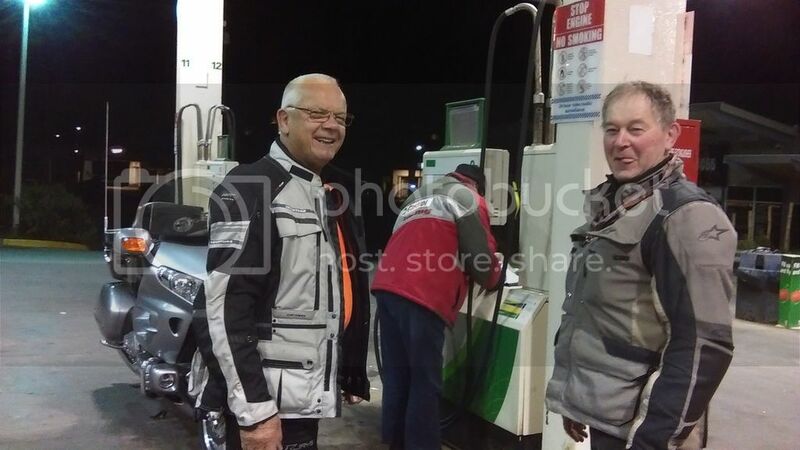 DAY 2- From Ceduna SA they travelled to Ravensthorpe WA for the night. DAY 3 - Somehow they ended up being 4 hours behind we think it was due to roadworks. 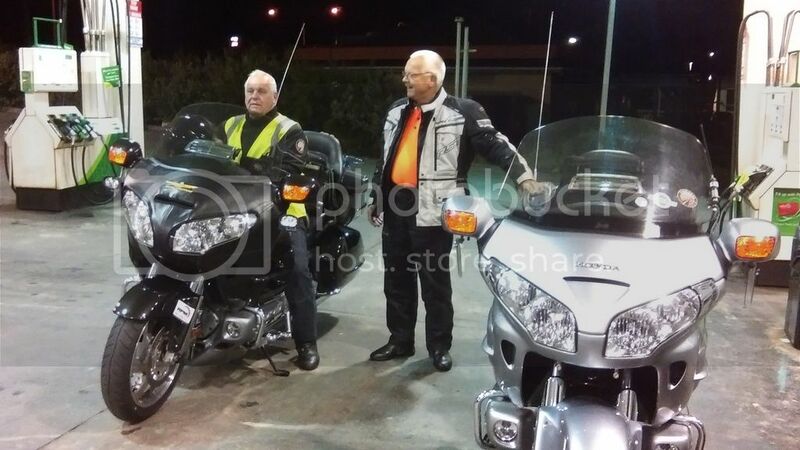 It was this day that Gus found them riding through Perth WA and escorted them part of the way on their ride. They continued riding on unsure where they stayed but they made up the lost 4 hours somewhere. They did say it was a lovely night for a ride. DAY 6 - From Darwin NT they had a hard route via Daly Waters NT, Borroloola NT, Barkly Homestead NT to Camooweal QLD which they seemed to have lost 2 hours from their schedule. DAY 7 - TODAY From Camooweal QLD via Normanton QLD where Des spoke to Fatman approx 2pm today he said they were both in good spirits. 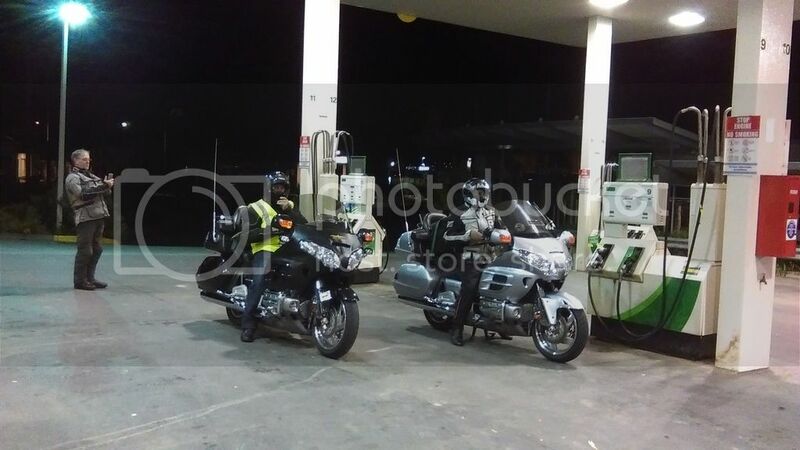 They are now heading to Cairns QLD and down to Townsville QLD for the night. Fatman has advised them of the numerous roadworks coming down the Bruce Hwy, from the recent damage. We are hoping that they can make it home before the dead line of 2.30am Thursday morning! Thanks LTP. A great ride going well it seems. Looks like an intercept being planned for East Gippsland sometime on Wednesday. Fingers crossed that this rain eases up. Thanks for the update LTP, what an epic ride! I spoke to Des this morning at 4.30 am while they were having some brekky in Townsville. They had another tough day yesterday having to ride 2000km to get back on schedule, I assume they stayed the previous night at Barkly HS and not Camooweal as per the schedule? Fatigue was starting to come on more frequently now I think today may be the make or break day? Des was reminded of "Rule #1", ie make it home safely!! They now face coming down the Bruce Hwy and through all the areas hit by the recent Cyclone Debbie and the rain damage that brought. I hope Bruce is kind to them with regard to roadworks and damage. Time will tell I guess. Great to hear they are still on the go.....keep it going guys!! 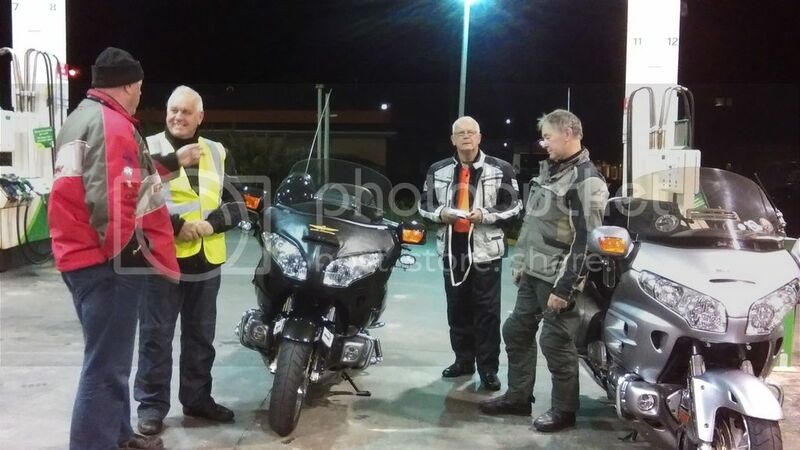 We had planned to talk to Des when he was riding on Saturday night whilst we were all at the muster but he has phone issues and he apologised for not being able to talk to us as he was looking forward to it. God speed and be safe. 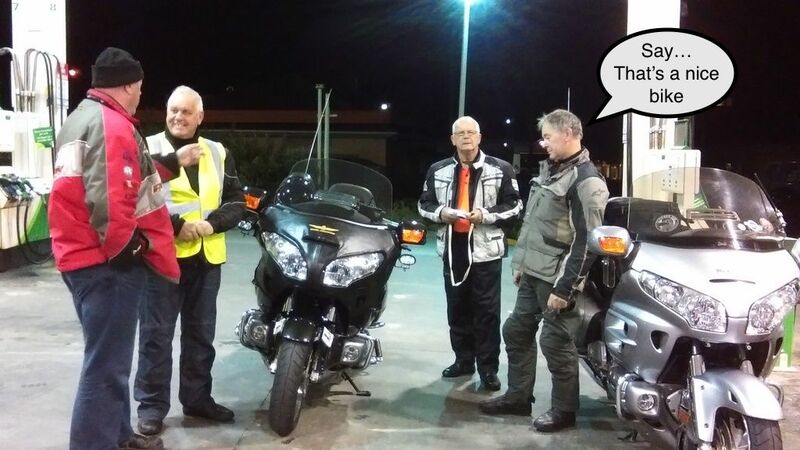 Fatman has not long spoken to Des, he and Freddo are at Raymond Terrace having a break. Thanks for the update and the countown LTP. 1200km and 14 hours to go. What a ride. I feel ashamed that they rode past Newcastle and I wasn't available and didn't intercept. Likes: Martin Little, Skidoo and Lynne "the Pillion"
I love this pic of Philmor channelling the T-1000. Likes: Martin Little, Marls and Lynne "the Pillion"
Looking forward to a grand completions! Ride safe guys. Maybe Philmor was saying to himself that "This bike is bigger than my tractor I have on my farm!" I just spoke to Wingman from Port Kembla, with 890km and 9 hrs to do it, he realises unfortunately that they are going to run out of time. BUGGER! 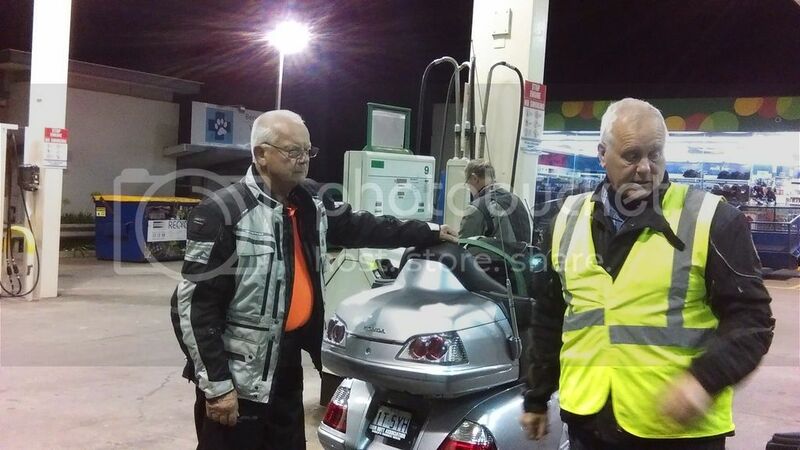 They are still riding south but may take a sleep stop near Eden he said. As per LTP's moto, "Remember, the greatest failure is not to try" You both gave it a good shot guys, well done for trying. A majestic and memorable journey guys. Congratulations. It will be great to read the report. Good ride and good decision.